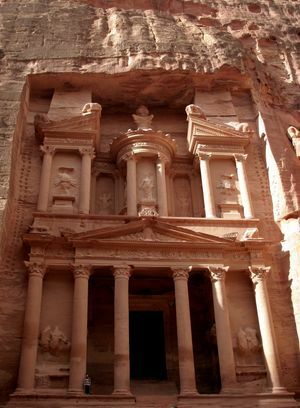 Jordan sports quite a few places of attraction that will compel you to spring back to life. It encompasses a wide range of landscapes that vary from the coastal beauties by the Gulf of Aqaba and the Dead Sea to the excellent place to cool down in the shade amidst the Great Rift Valley. Despite the fact that most of the terrain of Jordan is arid or semi-arid, it has no impact on the variety of landscape and tourism prospects one can find here. Jordan is a Middle East nation and shelters geological wonders like the Great Rift Valley in its contours. While Jabal Ram is highest point in the country, the lowest portion is situated at the Dead Sea. Being part of the region that is demarcated as ‘cradle of humanity’, Jordan shelters several remains and indications from the biblical times. The reign of this land passed in turn to the Assyrians, Babylonians, Persians, Seleucids, Romans, Byzantines, Arab Muslims, Christian Crusaders, Mameluks and Ottoman Turks in different periods of time. The British arrived during the First World War and separated it from Palestine mandate. On 25th May 1946, Jordan shed its earlier identity of Transjordan and emerged independent. Copyright � 2007 AllCountries.eu. All right reserved.